I'm not exactly sure when we decided but it was about nine months ago. My partner's step daughter was about to graduate from Saint Ed's and she had always imagined herself going to Europe when she did. Making it happen took a lot of effort. One, none of these guys had passports. Until you have your passport, getting one seems to be a lot harder than it really is. In the case of my son and grandson, we just hired a professional to get it done. Since I was 17, Paris has been a favorite place for me. Two ex-wives have lived there, and I think I have visited the city 14 times since my first visit in 1967. Perhaps it was my ancestor great great great grandfather who was a Doctor in Paris during the mid 1800s that tuned my circuits to the place, I don't know, but I do know that I resonate well with the place and I know a lot about it. So what better trip to Paris and London than with Grandad who can tell you about how Napoleon first went under the Arc de Triomphe with his second bride, or how he was brought through it when he was moved to his tomb in the Invalides some 30 years later? Who better to show the axis that runs from the Palace, through the Tuileries and the Plaza Concorde up the Champs Elysees to the Etoile and all the way out to the great arch at Le Defense? As we made our trip plans, we decided to spend New Years in London and chunnel the whole group there on the Eurostar at almost 200 miles per hour. 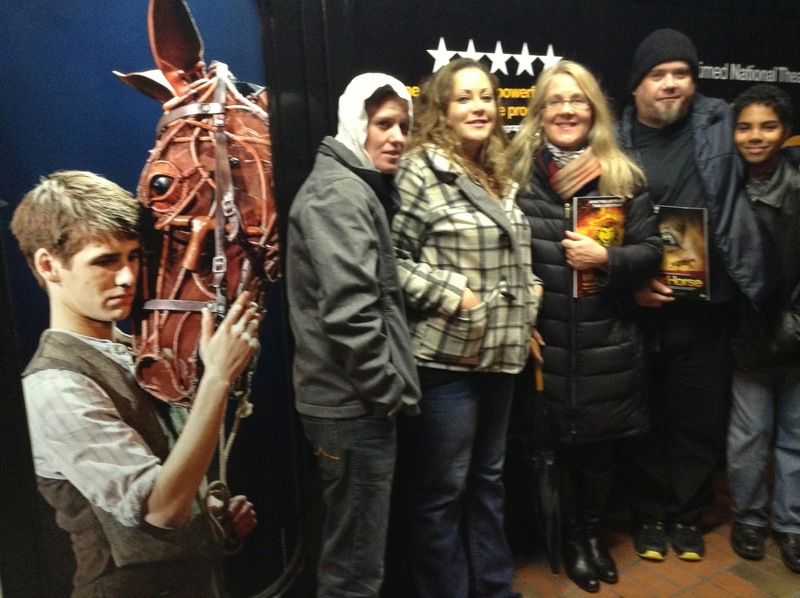 On New Years day evening, we saw the National Theatre production of War Horse at the New London Theatre. Except for the food in Paris, and the street theater, it was the highlight of the trip. I wanted my son Solomon and grandson Alexander to see how sophisticated and smart life can be and NOT be American. Nakita got her graduation gift and her partner Nicole discovered Croque Madames.